The apex consumer commission has directed Chandigarh-based Government Medical College and Hospital to pay Rs eight lakh to the family members of a burn victim who died after being shifted to a bed that was not disinfected. 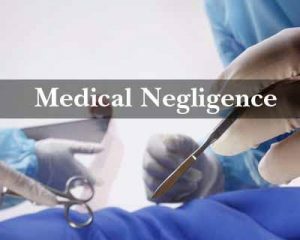 The National Consumer Disputes Redressal Commission(NCDRC) held the hospital guilty of medical negligence while rejecting its plea against a district forum order holding him liable, which was upheld by state commission. “District Forum and State Commission after elaborate discussion rightly came to the conclusion that after death of Praveen Kumar(another patient) on bed number one, victim Hitender Kakkar was reshifted on the same bed the same day without disinfecting it which amounted to aggravation of infection. “Complainant’s other witnesses had mentioned that even bed sheets were not changed. The counsel for the opposite party (hospital) could not bring to my notice any evidence on record to dispute aforesaid factual aspect,” an NCDRC bench, presided by K S Chaudhari, said. “In such circumstances, it can safely be observed that after the death of Kumar and before shifting Kakkar on the bed, it was not disinfected by hospital which amounted to medical negligence and deficiency on their part,” it said. According to the complaint, Kakkar was admitted in the hospital on October 26, 2008 with 50 per cent burn injuries 2nd and 3rd degree due to fire crackers on his neck, chest, both upper limbs and face. On November 7, 2008 morning, another burn patient Praveen Kumar was admitted and allotted Kakkar’s bed but after Kumar’s death within a few hours, Kakkar was re-shifted to that bed which was neither sterilised nor disinfected and led to deterioration of Kakkar’s condition and death later that day. It was alleged that Kakkar contacted infection, due to the negligence of the hospital staff and callous attitude of the doctors. However, the hospital authorities denied the allegation and claimed that the cause of death was septicemia consequent upon burn injury and that the patient was treated with utmost care and attention, and was given due standard treatment, as per the established protocol. Denying any deficiency on their part, the counsel for the hospital said that due to septicemia, which was on account of the presence of multiple pus pockets in both lungs and both kidneys, consequent cardiac arrest occurred and caused the death of the victim. The district forum had earlier directed the hospital to pay Rs 8 lakh as compensation to the complainants along with Rs 10,000 as cost of litigation.Appeals filed by both parties were dismissed by state commission in 2012, against which the revision petitions were filed in NCDRC for enhancement and reduction of compensation by victim’s family and hospital, respectively. what type of infection can cause death within few hours except gas gangrene that also of the patient on antibiotics. I think it is totally non-application of mind by the Hon\’ble National commission. The hospital should go for appeal in High court against the order.